If “Piyo Aur Peeney Do” could be the title of your biography, then BarShala is the place for you! 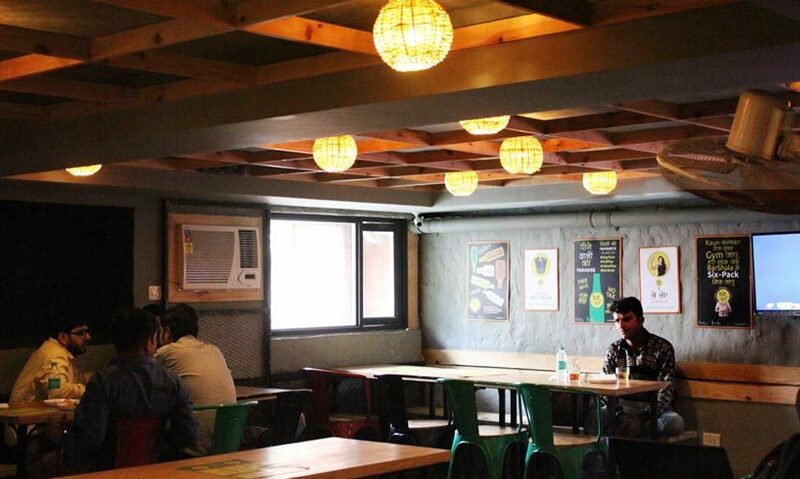 A quirky resto-bar in the East of Kailash Community Centre, it’s the perfect option for your next drinking sesh with prices that can make My Bar bite the dust, and great food that goes beyond the usual chips and chakhna (though there’s enough of that too!). Whether you’re simply looking to grab a quick drink or in the mood for a full-on booze binge, we’d highly recommend BarShala. Don’t expect lavish interiors and fancy unpronounceable dishes; the space is pretty basic and proudly flaunts its desi vibes with filmy posters, a hilarious Hindi menu and a typical Bollywood playlist. 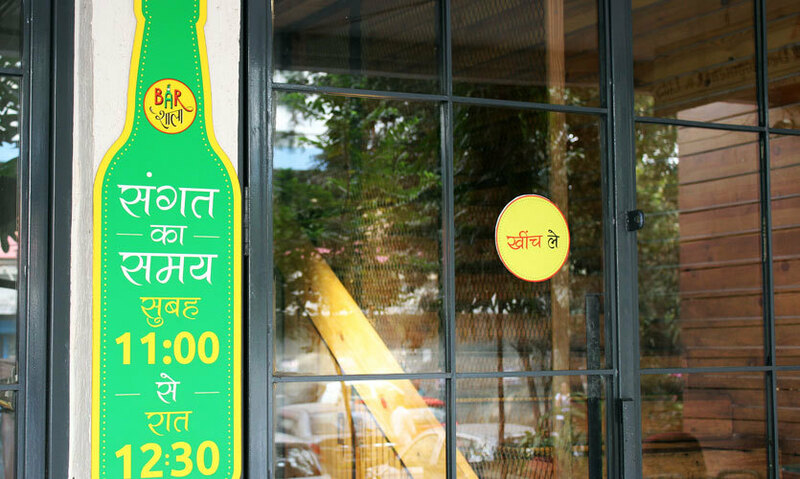 The service is good and the crowd is decent, owing to its South Delhi location. There are two levels - the ground floor can accommodate roughly 10 people but this area is pretty constricted; the first floor can hold 48 people and also has a ‘Dhumrapan Zone’. If you’re heading out with the sole purpose of lifting your spirits (literally), then bookmark BarShala for some chill vibes and a chilled Bira for 100 bucks *gleeful grins*! 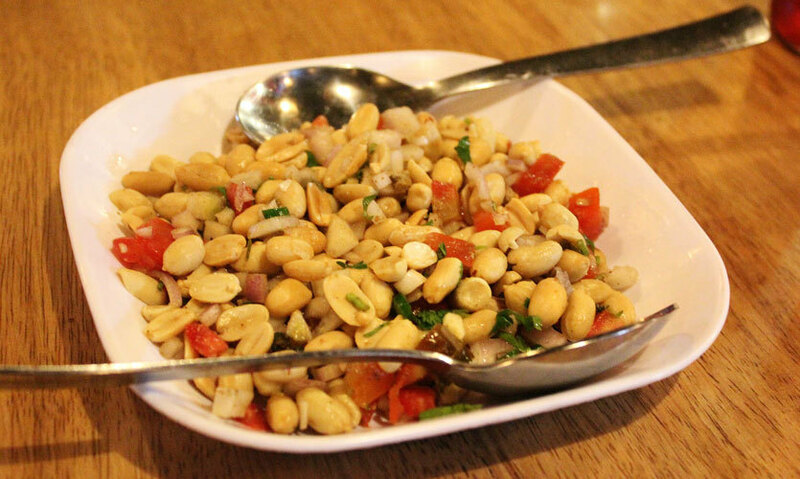 We went traditional for our first order and called for their Bandar Chaat, which is essentially peanuts mixed with tomatoes, chillies and coriander with a sprinkling of lemon juice. 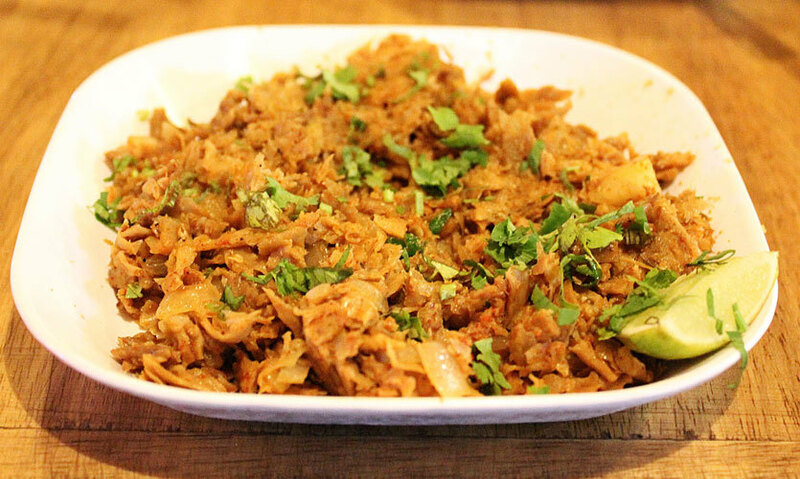 We were told that this is the most popular item on the menu and rightly so, you can’t go wrong with moongfali! Deliciously crunchy and healthy to boot. 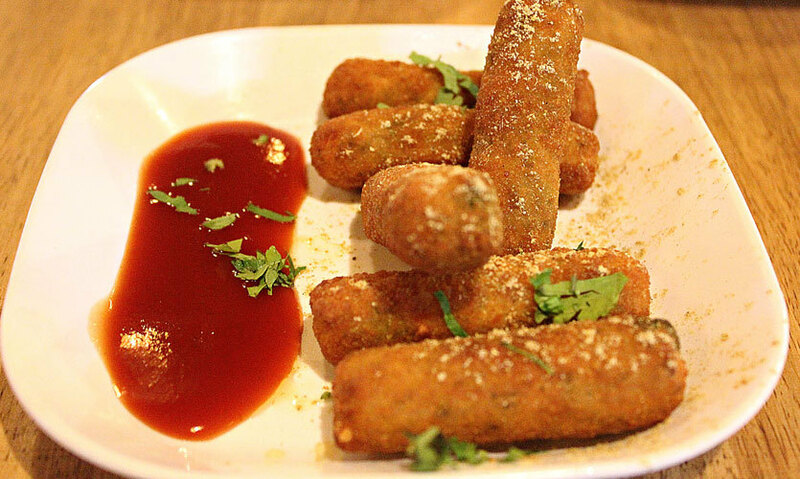 Next up were their Veg Fingers - fried potato cutlets with corn and tomatoes and a dash of chaat masala on top. This was another appetizer that we have no complaints about. The fingers were crispy, yet soft and the filling was seasoned well, sans the heaviness that sometimes mars fried eatables. We couldn’t keep our hands away from the plate for long! The bite sized chicken seekh kababs were served with a bunch of onion rings, green chutney, masala and lemon - just the way we like it (frankly, eating kababs any other way is sacrilege to our foodie souls)! They were tender, succulent and super tasty, an ideal side dish that we wouldn’t mind repeating. 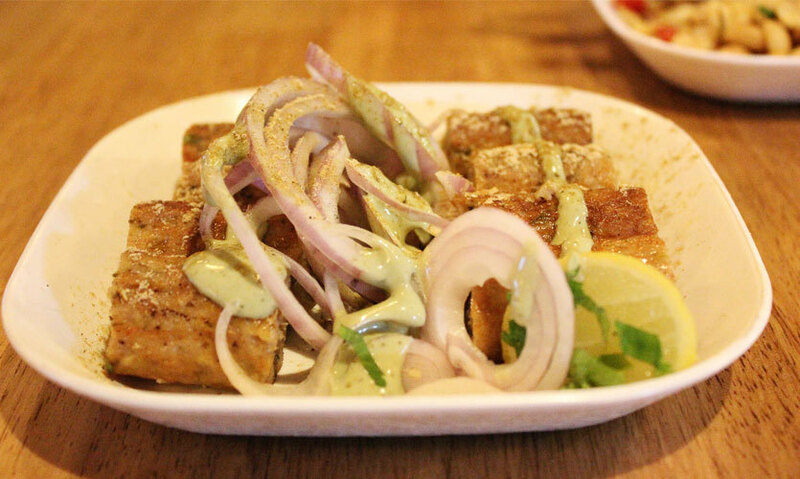 This is one of the three recent additions to their menu (along with Soya Lathi and Soya Shammi Kabab) that totally bowled us over! Now, we’re a little biased towards our chicken, but have no qualms in admitting that the Soya Bhurji was a cut above all the rest (no kidding!). Super spicy shreds of soya tossed with veggies tantalized our tastebuds as the flavors exploded in our mouths; we licked our forks clean! A must try for vegetarians and meat lovers alike. The beers at BarShala start at Rs 60 and you can choose from their selection of whiskey, vodka, rum and wine to tide you over your end-of-the-month woes without a third look (let’s be realistic here) at the right side of the menu. Cheers to that! With four branches in four months and a goal to open 16 more, the chain looks all set to take over the budget alcohol market. 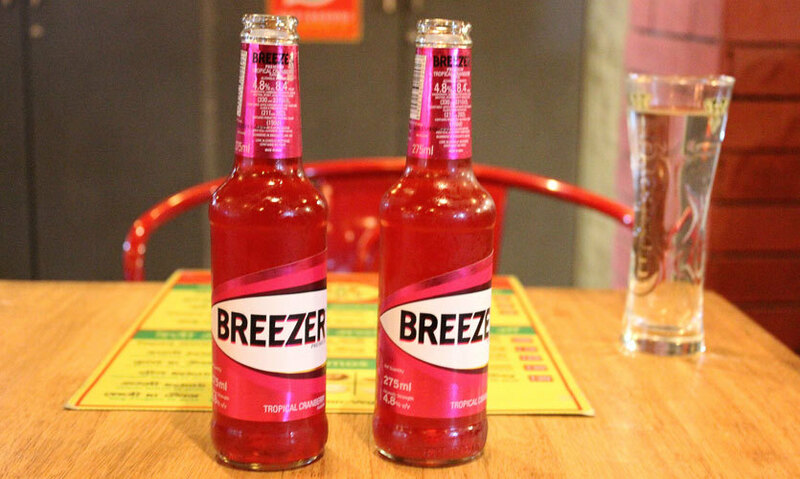 We’ve only got two words for you - bottoms up!